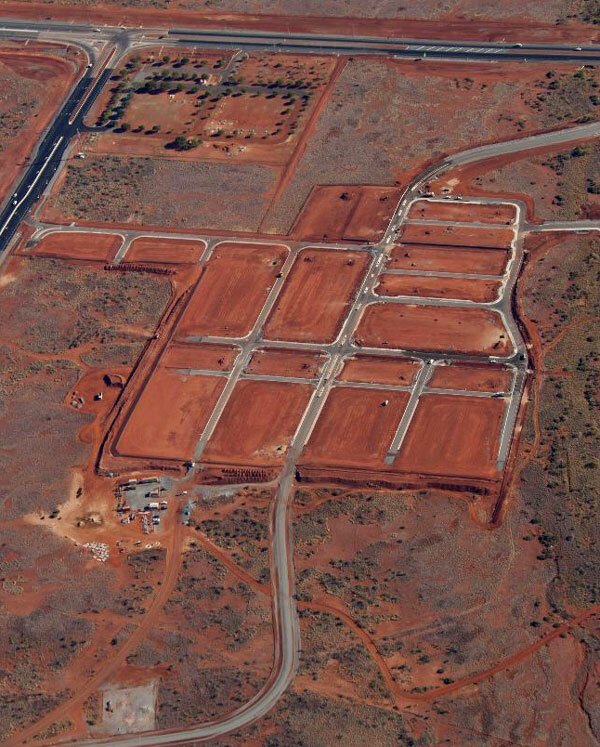 To deliver a 67.7ha estate containing an estimated 1250 new dwellings and a mixed-use local neighbourhood centre comprising up to 1000m² of new ground floor retail in the remote Pilbara town of Karratha. Benchmark Projects was engaged to provide complete project management services to the project and has overseen the preparation of a Development Plan, engineering design, statutory and agency approvals, as well as construction. Due to the fast-track nature of the development Benchmark was required and was successful in undertaking extensive stakeholder and agency liaison which allowed for the achievement of tight project time lines. To achieve the tight deadlines, Benchmark was also successful in developing interim agreements with relevant agencies in instances where service infrastructure was inadequate. The use of innovative development strategies, allowed construction to occur in advance of critical infrastructure improvements planned by service providers, further assisting in allowing the development to meet tight project time lines. The State Government’s ambitious Pilbara Cities plan aims to see Karratha evolve from a resources town to a dynamic, revitalised, modern city with a potential population of 50,000 people. Supporting this vision, the Madigan Road Residential Estate aims to create a sustainable and affordable urban area providing for diversity of housing types.